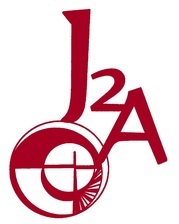 Scroll down for more information about J2A classes. What is Journey to Adulthood? In the last year of the program the class plans, preps and takes a 10 day spiritual pilgrimage to a destination they have prayerfully chosen. Following the pilgrimage they are confirmed by the bishop. Rite 13, J2A and J2A-C are the "Journey to Adulthood" classes that make up Sunday school for teens at Old Donation. Check out more detailed descriptions of the classes below! Rite 13 (7th & 8th grade this year) meets in the large classroom in the right-wing of Alfriend House. J2A (9th & 10th grade this year) meets in the first classroom on the left of the hallway in Alfriend House. J2A-C, or Confirmation Class Pilgrims (11th & 12th grade this year), meets in the sun room of Alfriend House. Take responsibility for maintenance of group life – setting meeting times, designating leaders, setting up a communication network, establishing group norms and goals.